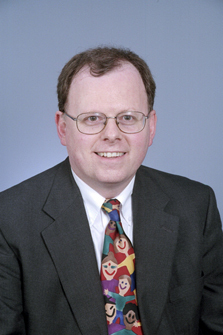 Tom Copeland is a renowned tax and child care business specialist. A licensed attorney, Tom Copeland graduated from Macalester College (BA) in 1972 and from William Mitchell College of Law (JD) in 1980. He trains thousands of family child care providers, trainers, and tax preparers each year on important business issues, including record keeping, taxes, marketing, contracts, and legal issues. Tom Copeland is also the author of many books and resources for family child care providers. Currently, he is a consultant for the National Association for Family Child Care (NAFCC). In 2003, he won the Friends of NAFCC Award from the National Association for Family Child Care. In 1998, he won the Child Care Advocate of the Year award from the Minnesota Licensed Family Child Care Association. He has represented numerous providers in IRS audits and has won three US Tax Court cases. In 2003, the IRS issued Revenue Procedure 2003-22 that allows family child care providers to use a standard meal allowance rate to claim food expenses. Tom was the author of the proposal that led to this rule. Click here to ask your Family Child Care Business Questions. Can I claim the miles I drive to the grocery store as a business trip? You can claim business miles for all trips in which the primary purpose was business. If you are buying more business food than personal food, this is evidence that the trip was primarily for your business. Don't try to claim all trips to the grocery store as business because the IRS will assume that some of these trips are personal. Is money received from the Food Program taxable, and if so, where should it be reported on the tax forms? Money received from the Food Program for child care children is always taxable. Money received for a provider's own children is not taxable because it is considered a "benefit" under the Food Program regulations. Taxable reimbursements should be reported on line 6 Other Income, Schedule C.
I'm just starting my business and I'm not familiar with what I should put in my contract. Do you have any suggestions? I would also suggest requiring parents to pay at the beginning, not the end, of each week, and require them to pay you for the last two weeks of care when they first bring their child. I understand that contracts are legally binding and policies are not; but I am unclear as to what specifics should be in a contract or policy? Yes, a contract can be enforced in court, policies cannot. There are two things in a contract that can be enforced in court: the parent payment and the hours a provider works. So a provider wants to be able to sue a parent if the parent doesn't pay and a parent wants to be able to sue a provider if the provider refuses to offer care for the days stated in the contract. Everything else has to do with how child care will be provided (policies). Any change to a contract must be in writing. A provider can change her policies at will. Should there always be a signature of the family and the provider on each contract? Both provider and parent(s) should sign each contract. If you mean should they both sign each page of the contract - this is not necessary. You said that food program money is always taxable, but our own children are not taxable does grandchildren count as a benefit? They do live with me. If you receive food program reimbursements for your grandchildren, this is taxable income, but then you can deduct the food served to them while you are being paid to care for them. My daughter age 27 would like to come to work for me, it would be part time 4 days a week about 7 hours a day. Do I have to do some kind of payroll on her or can it be a gift of money to her? If you hire your daughter you will have to treat her as an employee: withhold social security taxes, pay federal and state unemployment taxes, and perhaps have to purchase workers compensation insurance (check with your state workers compensation office). You can't treat her an an independent contractor. As an alternative - you could not pay her but instead give her some money as a gift. This way it's not a tax deduction to you, you won't have to pay any of the payroll taxes, and it's not income to your daughter. What are the most overlooked tax deductions family child care business owners miss when filing their taxes? Is there any chance that they will do away with "Tiering" on the Food Program.? It is so unfair that I am reimbursed so little & other providers get so much. Groceries cost everyone the same. It's highly unlikely that they will eliminate tiering for the Food Program. Sorry. At least you can deduct food expenses the same way as Tier I providers. I am the spouse and the only employee of my wife's group home daycare. Does my wife have to have workers compensation insurance? If your wife pays you for your work for her business you may or may not have to get workers compensation insurance. It depends on the rules of your state. In Minnesota, for example, spouses who hire each other don't have to get this insurance. If she doesn't pay you then she doesn't need this insurance. In general, it's best if she doesn't pay you. By paying you she must withhold social security taxes. I bought a heavy-duty ford express van for my daycare. Is there a special exemption for that type of vehicle used for business? Or do I just claim it as a depreciation? If you use the actual expenses method for claiming expenses on your vehicle you can also claim depreciation on it. You can depreciate it faster if the vehicle weighs more than 6,000 pounds or you use it more than 50% of the time for your business. See my book Family Child Care Tax Workbook and Organizer for details. I have never filed form 3115 home depreciation; how many years can i file or should i not file it? You should always claim depreciation on your home because of the significant financial benefit. You can go back and recapture previously unclaimed depreciation for as long as you owned the home and were using it for child care. Use Form 3115 for recapturing all of this back depreciation. As a self-employed person you can take any of the money you receive for your business and spend it on yourself. Any money to take for yourself is not a business deduction, so you don't actually have to keep track of it. You will owe taxes on the profit from your business which is your income minus your business expenses. I would like take position of more the business owner but funds are rather tight to pay for assistance. Is there any hope in finding enough funds to pay for help? There are very few funding sources for family child care providers. To find out about any in your area, contact your local child care resource and referral agency. I have a two-day-a-week program for toddlers in my home and I'm listed with my state for childcare. Do I need to add additional insurance on top of my regular homeowner's insurance? You should check with your homeowners insurance agent to see if you are still covered in your situation. Some homeowners insurance policies don't cover any family child care. If he/she says you are covered, ask to have this put in writing. You also want to ask if you are still covered for all of the property in your home (furniture, appliances, etc.). Many policies will only cover up to $2,000 worth of business property. If you need to get a business property insurance policy it will probably cost less than $100 a year. In addition, you want to be insured against lawsuits by parents. Therefore, you should purchase business liability insurance. I have always used the 4562 form as well as the schedule C, the 8829 and the Schedule SE to do my taxes. But I feel that the 4562 is a form I really do not need. The first person, way back in 1991, that did my taxes used this form and I have always used it too, I think the same info can be up on the other forms. I am currently in College to get my ECE degree to help my Childcare program, can I claim mileage to and from my classes and anything related to the degree? If you do already have such a degree then you can deduct all costs associated with getting your ECE degree including mileage, books, etc. If you don't have a post secondary degree then you can't deduct any of these costs. I do not claim any portion of my home phone for business purposes. Am I allowed to claim any portion of my cell phone? You can't deduct the monthly cost of the first phone line to your home, but you could deduct the business portion of the cost of the phone, call waiting, and other extra charges. You can also deduct the business portion of a second phone line (cell phone). Use your time percent to determine the business portion of your cell phone. If you use it more than this, keep records and claim a higher amount. I am considering adding 3 part-time staff, for a maximum of 40 hours per week between the three. Is it legal to consider them "self-employed," or do I have to be their "employer " and withhold taxes, etc.? If so, what fees or taxes do I need to pay as an employer to the IRS, what am I required to pay as a minimum per hour, how much do I need to withhold from their checks, and what applications and reports am I required to file? Maybe you could recommend an IRS publication I should be using. Also, what resources do you have available that would address my situation? You must treat these people as employees, not as independent contractors. You must pay a federal minimum wage of $7.25 per hour unless your state has a higher state minimum wage. You must withhold social security taxes (and pay it in four times a year), pay federal and state unemployment taxes, withhold federal and state income taxes, and probably purchase workers compensation insurance (contact your state workers compensation office for details). My book 2011 Family Child Care Tax Workbook and Organizer describes how to fill out all the federal forms, with several examples. For your state rules and forms contact your state department of revenue. The federal tax forms are: I-9, W-2, W-3, W-4, Form 940, Form 941. You also need an EIN. You may want to hire a tax professional to handle all the payroll taxes and forms for you. Learn more and see a full list of titles by Tom Copeland.